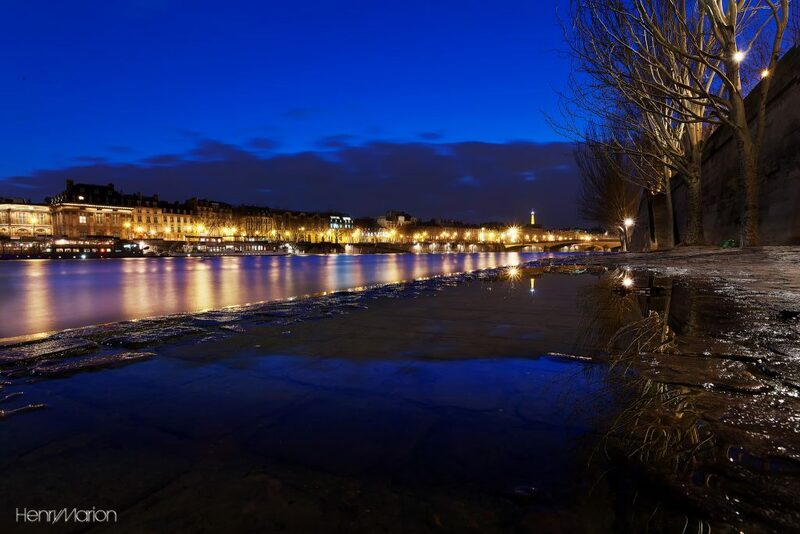 Visiting Paris in January: What to Do in 2019? Many of my French friends loathe Paris in January. According to their dramatic telling, the city becomes a miserable, soul-devouring and depressing place that might easily have featured as one of Dante’s nine circles of hell. 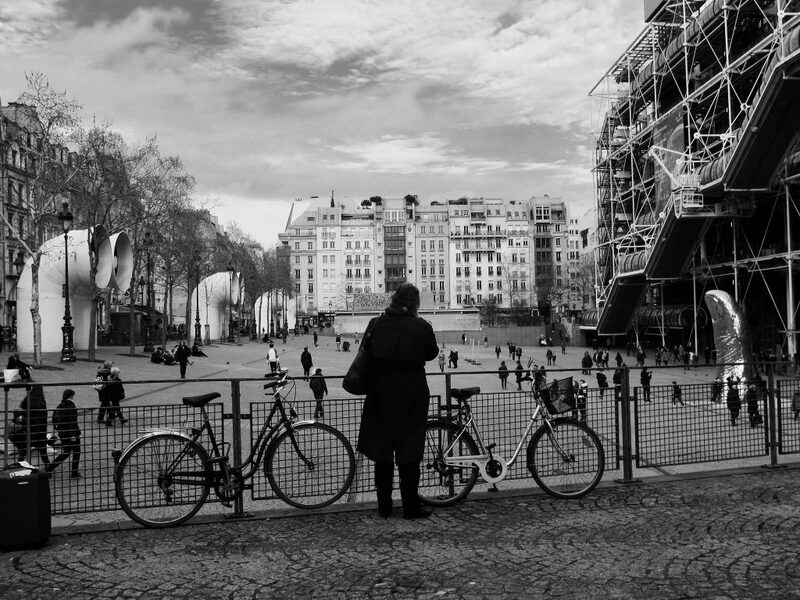 Not to mention that it allegedly reinforces stereotypes of Parisians being masters of gloom and existential angst. I’ve never shared those sentiments, needless to say. Perhaps my years of wishing for a “real” winter as a child in Southern California (coupled with my preference for cold over extreme heat) have made me tolerant of conditions deemed ghastly by others. After all, icy wind that mildly stings your face can occasionally be *enjoyable*, especially when you’re wrapped to the nose in scarves and heading for a warm cafe to meet a friend. There’s something cozy and even poetic about it. Maybe where my friends see endless blight and a depressing lack of activity, I see stillness and peace. The holidays have passed and there’s again space for contemplation, quiet and food that won’t tax your liver. Tourists are thin on the ground, and I can visit an exhibit without getting subtly (or not so subtly) pushed along when I’m trying to fully appreciate the brush strokes on a particular painting. Tables are available at my favorite cafes. Human traffic isn’t clogging the sidewalks, and riding the metro doesn’t set off waves of claustrophobic panic or a desire to claw at fellow passengers. In short, it’s ideal if, like me, you dislike crowds and enjoy a quieter, more low-key pace when traveling. After all, there’s no “best time of year to visit Paris”: it’s all strictly a matter of personal preferences and tastes. Enjoying the sounds of silence don’t mean you’ll be condemned to boredom, of course. Keep reading for my suggestions on how to enjoy January in the capital to the fullest, including a few shows and exhibits that I especially recommend. 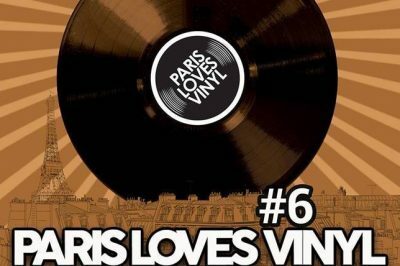 For further ideas, you can consult the Paris Tourist Office page and their handy event calendars. What to Do in January? 1. 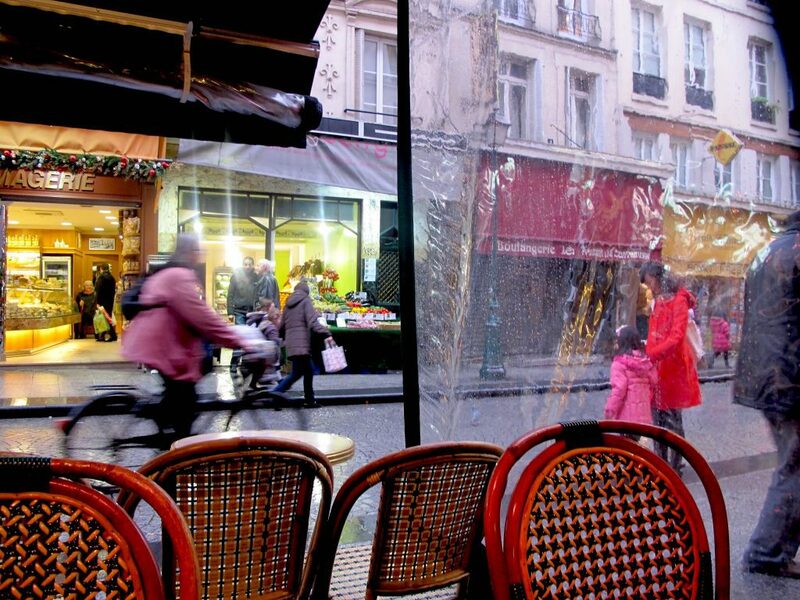 Indulge in some cafe-hopping. 2. Spend an afternoon at the cinema. 3. 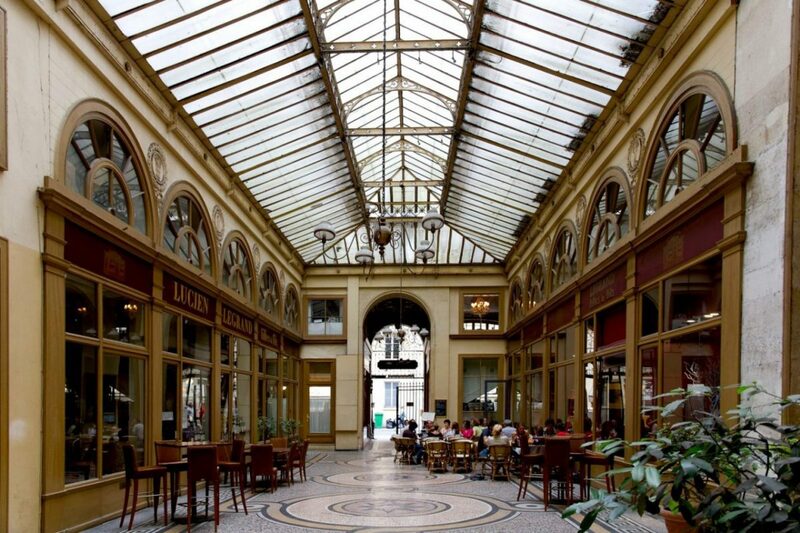 Explore the sublime old “arcades” of Paris (covered passageways). Ready to book your January Trip? January generally brings solid cold spells, with temperatures commonly near or sometimes even below zero. Make sure to line your bags with at least a couple of warm sweaters and winter coat, perhaps a waterproof jacket to go underneath in case of inclement weather. Also pack warm, fuzzy socks, good gloves, scarf and a hat. Wind chill can be especially bracing at this time of year, and since the days are still running short, catching a chill is very likely if you don’t bundle up. But don’t exclusively bring winter wear along: warmer days can suddenly send you wanting to peel off the sweater and coat, so layering is generally advisable. While it occasionally snows in January, it’s very unlikely to stick to the ground: but it might create minor hazards as it melts and forms into an icy sludge on the sidewalks and streets. This is one reason (aside from comfort and warmth) that I discourage you from wearing heels while walking around the city at this time of the year. Who wants a sprained ankle to put a spanner in an otherwise wonderful trip? Unless it’s bright and clear out and the streets are free of ice or slick rain, pack your heels in a bag if you’ve planned to wear them for a special occasion later in the day. It’s certainly not the busiest time of the year, and you admittedly may have to get a bit creative if you don’t wish to stay stuck indoors. But there’s still plenty to see and do– and, as mentioned, you’ll have the benefit of more relaxed conditions and relatively thin crowds on your side. Wondering where to start? 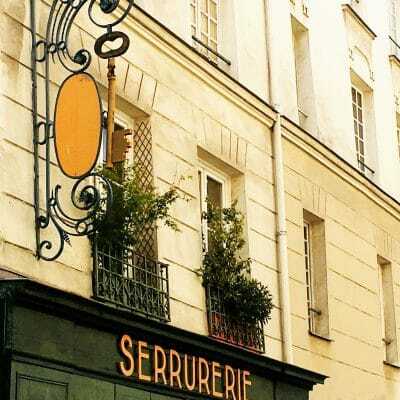 Over at TripSavvy, I have a feature on Parisian cafes, bookshops and gardens that also happen to be literary haunts, frequented by writers from Richard Wright to Ernest Hemingway and Simone de Beauvoir. 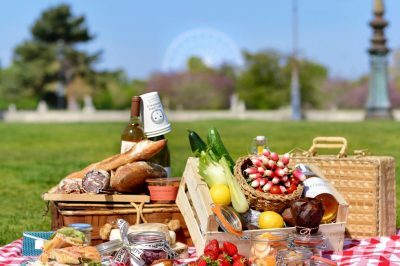 There’s also a more general, handy list of iconic cafe-brasseries in the capital and another on the coolest new places in the city for gourmet coffee (from Kaitlin d’Avella). These are all good places to start. I also recommend perusing this list for particularly cozy, relaxed cafes in the capital, new and old. 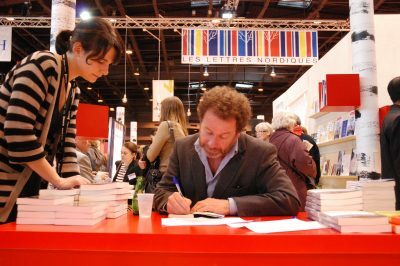 This one from food writer Clotilde Dusoulier is also helpful. More of a tea person? Get cozy and warm at these fantastic places for afternoon tea in Paris. As I’ve said many times before and will probably repeat going forward, there’s no city better suited to cinephilic fever than Paris. It screens over 300 films per week and has more “salles” (theatres) per capita than a film lover could possibly dream of. January generally has a good share of mucky, icky, sloshy and otherwise unpleasant days: ones that make spending most of your time indoors seem like the most attractive prospect. A single or even double screening will whisk you off the streets and do just the trick, but I’d avoid escapist blockbusters: instead, take refuge in an old arthouse theatre that will still give you a local, cozy experience worth writing home about. 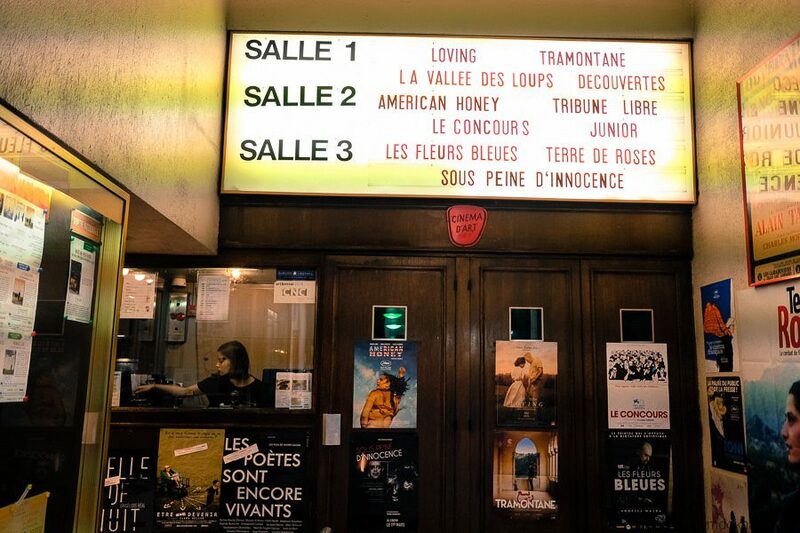 For a good list of some of the better cinemas in Paris, see this page. I also list my favorites here. Another of my preferred ways to get out of the cold (but not necessarily forgo sunlight on mercifully clear days) is to wander through the elaborate, elegant network of covered passageways that grace certain districts in Paris. The most well-known of these include the Galerie Vivienne (pictured), Galerie Colbert, Passage des Panoramas and the Passage Jouffroy. Built mostly during the 18th and 19th centuries and also referred to as galeries or arcades, they were made famous by philosopher and cultural critic Walter Benjamin’s astute, contemplative study in The Arcades Project . Harboring boutiques, restaurants and tearooms, bookshops, old-world toy stores, poster shops, etc., many of the passageways have been restored to their original glory. It’s not difficult to admire the elaborate mosaic floors, glass rooftops, faux marble pillars decorated with paintings, and airy beauty that seems firmly anchored in a previous era. 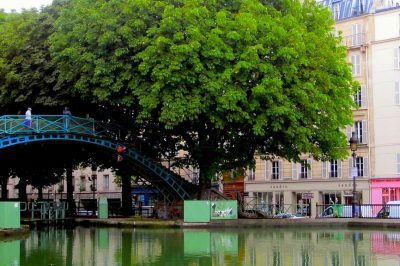 Whether you stroll, shop, or stop for lunch or coffee, wandering through the loosely interconnected galeries on the right bank offer both a good way to understand how certain districts connect, and take refuge from the cold and rain. For more on shopping in the capital, see this guide at TimeOut . You can also check out this guide to navigating the annual winter and summer sales in Paris, with tips on how to avoid stress and disappointment as you hit the stores. This remarkable outdoor exhibit at the Jardin des Plantes brings together winter cheer and warmth with a strong sense of ecological conscience. A walk through the nocturnal displays first offers the haunting spectre of species that went extinct millions of years ago, from wooly mammoths to saber-toothed tigers, before encountering species that are threatened by present-day habitat loss and climate change: polar bears, sharks, and dozens of other animals whose future is currently in peril. This is a great exhibit for adults and kids alike, underlining the importance of protecting the earth’s precious flora and fauna. The show runs through January 15th and is sponsored by the China Light Show. You can book tickets here. Carrying into the new year from 2018, the much-lauded Jean-Michel Basquiat retrospective at the Fondation Louis Vuitton wraps this month, so make sure to go see it if you don’t wish to miss out. 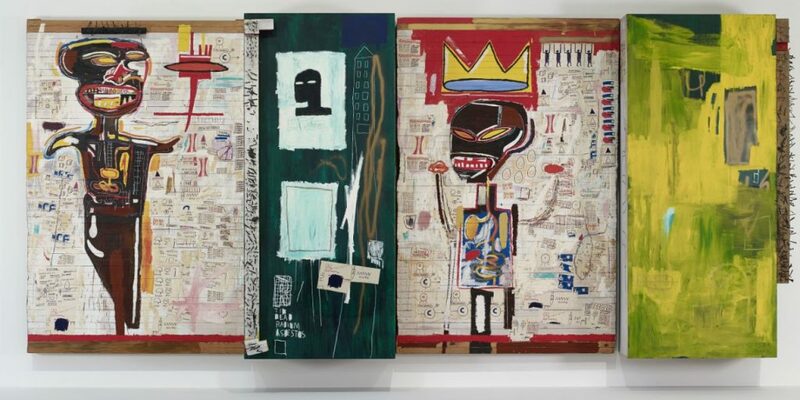 This massive homage to the great American-Haitian artist explores Basquiat’s myriad influences and singular artistic practices. See this page for more info and to buy tickets online. 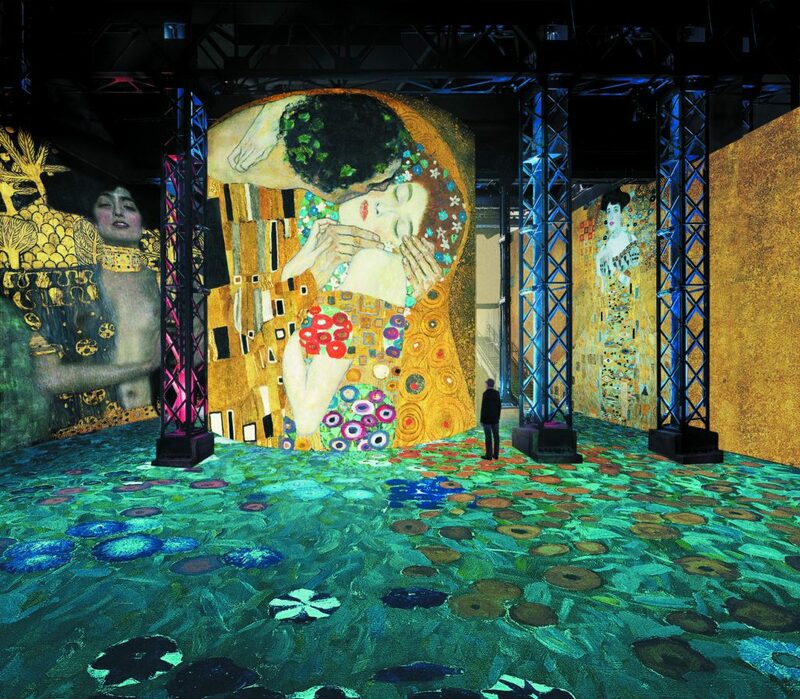 As I explain at length in my review of Paris’ first all-digital art museum, the inaugural exhibit at the Atelier des Lumières has proven to be one of 2018’s most successful shows. Luckily, they’ve prolonged it through January 6th, 2019– leaving you a bit more time to see it before it moves on to other museums. The mesmerizing exhibit, reviving the artistic heritage of Gustav Klimt and the painters of the Viennese “Secession”, has to be experienced to be properly appreciated. Make sure to reserve tickets as soon as you can: this one’s been solidly sold out in recent months, and lines have been long. Looking for a full list of exhibits, shows and happenings on this month? Try this one at the Paris Tourist Office. If so, you can find train tickets at Rail Europe and deals on flights or hotels (via Skyscanner). I’d also argue that travel insurance is a pretty crucial part of preserving your peace of mind. You can generate a personalized quote from World Nomads and compare trusted policies here.